May 27, 2017—Launch …. 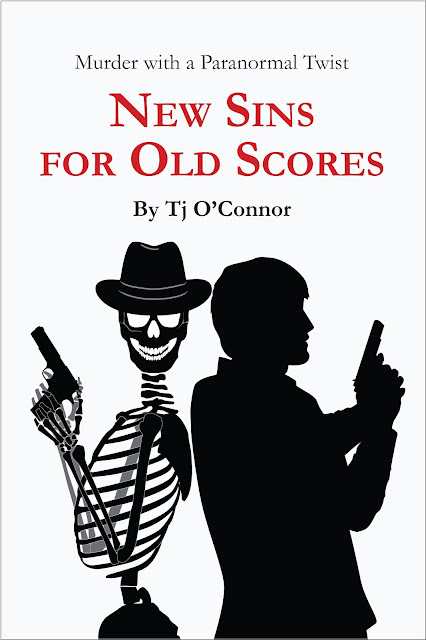 New Sins for Old Scores! At last, my fourth published novel. This one coming to you from Black Opal Books and my strange, wild imagination. It’s a murder mystery with a paranormal twist! (Go figure, right?) And yes, this is a cheap self-promotion blog. As Jax lay dying after being gunned down at an old inn while on surveillance, he’s saved by Captain Patrick “Trick” McCall—the ghost of a World War II OSS agent—who has been waiting since 1944 for a chance to solve his own murder. Soon, Jax is a suspect in a string of murders—murders linked to smuggling refugees out of the Middle East—a plot similar to the World War II “Operation Paperclip,” an OSS operation that brought scientists out of war-torn Europe. With the aid of a beautiful and intelligent historian, Dr. Alex Vouros, Jax and Trick unravel a seventy year-old plot that began with Trick’s murder in 1944. Could the World War II mastermind, code named Harriet, be alive and up to old games? Is history repeating itself? End cheap, self-promotion (for now). Look for New Sins for Old Scores! BOOK AWARDS (IPPY) FOR MYSTERIES. 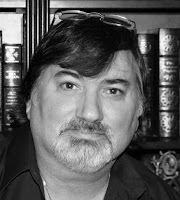 He is the author of New Sins for Old Scores, coming in May 2017 from Black Opal Books, and Dying to Know, Dying for the Past, and Dying to Tell. He recently finished his new thriller, The Consultant: Double Effect and his amazing agent, Kimberley Cameron is finding it a new home. Tj is an international security consultant specializing in anti-terrorism, investigations, and threat analysis—life experiences that drive his novels. With his former life as a government agent and years as a consultant, he has lived and worked around the world in places like Greece, Turkey, Italy, Germany, the United Kingdom, and throughout the Americas—among others. He was raised in New York’s Hudson Valley and lives with his wife and Lab companions in Virginia where they raised five children. Dying to Know is also the 2015 Bronze Medal winner of the Reader’s Favorite Book Review Awards, a finalist for the Silver Falchion Best Books of 2014, and a finalist for the Foreword Review’s 2014 INDIEFAB Book of the Year Award.